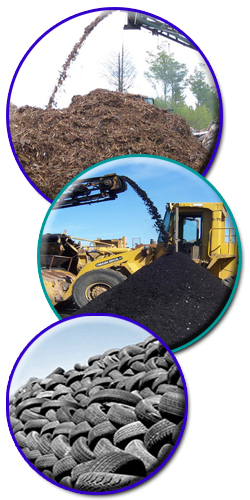 Beneficial use can reduce or eliminate disposal costs and it has a highly positive impact on our dwindling landfill capacity. The definition of beneficial use varies from state to state, but generally, it refers to the utilization of solid wastes as effective substitutes for raw materials in commercial products. Before someone can implement beneficial use, most states require that a beneficial use determination (BUD) be performed. Many states have predetermined BUDs and also provide a process where someone can submit a petition for a material not previously approved for beneficial use. When operating under a BUD the specific wastes used by a generator or end user in the approved manner are not considered solid wastes. This web portal is a compact, content-rich resource covering beneficial use of industrial byproducts. It was developed and is maintained by the National Center for Manufacturing Sciences under the National Compliance Assistance Centers program. Funding for this project has been provided by the U.S. Environmental Protection Agency. Please note that many of the regulatory discussions on Beneficial Use Portal refer to federal regulations. In many cases, states or local governments have promulgated relevant rules and standards that are different and/or more stringent than the federal regulations. Therefore, to assure full compliance, you should investigate and comply with all applicable federal, state and local regulations.